!! OMG, an extra special contest: David Bowie ‘Who Can I Be Now? (1974-1976)’ Boxed Set !! Enter to win Who Can I Be Now? (1974-1976), the second in a series of beautiful and collectible David Bowie boxed sets. The 12-CD box, 13-LP vinyl set, and digital download feature all of the material officially released by Bowie during the so-called “American” phase of his career from 1974 to 1976. Exclusive to the boxed set is the previously unreleased album from 1974 called The Gouster. The boxed sets’ accompanying book features rarely seen and previously unpublished photos by photographers including Eric Stephen Jacobs, Tom Kelley, Geoff MacCormack, Terry O’Neill, and Steve Schapiro as well as historical press reviews and technical notes about the albums from producers Tony Visconti and Harry Maslin. Available tomorrow, September 23, you can already pre-order the LP boxed set or CD boxed set. “Rock ‘n’ Roll With Me” from Re:Call 2 is now offered as an Instant Grat track with all digital pre-orders! View the contents of the boxed sets and an unboxing video after the jump. THE CONTEST: Has a David Bowie song from the period of 1974-1976 made an impact on your life? Or maybe you just have a good story associated with one of these songs. Tell it! 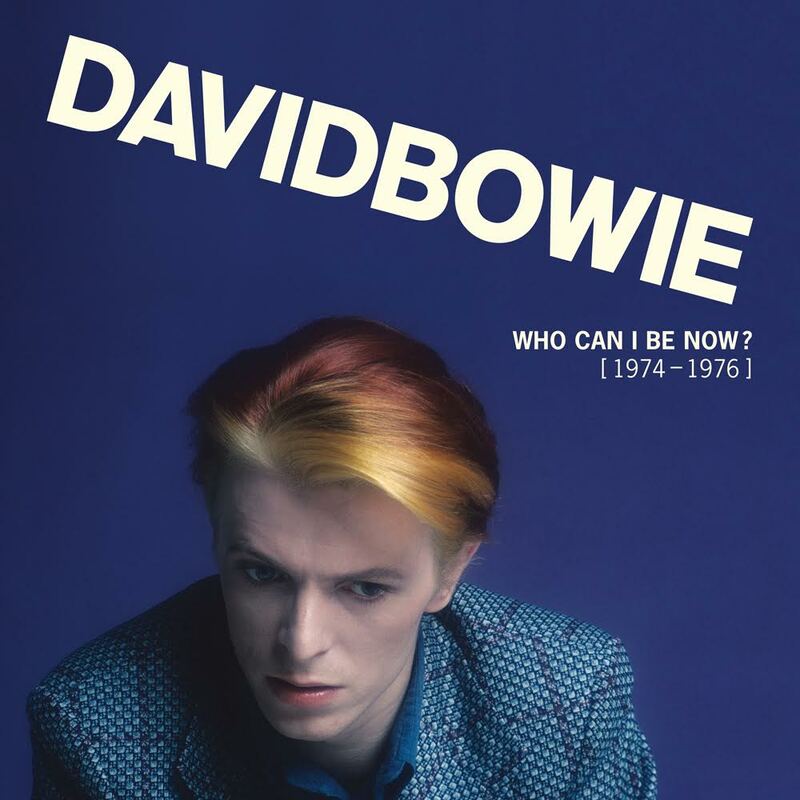 Our favorite response will win a Who Can I Be Now (1974-1976) CD boxed set! The winner will be announced on our Facebook page next week.